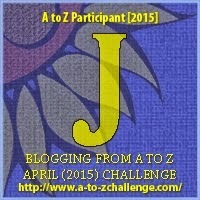 My letter J post gives me an opportunity to comment on something that bothers the reader in me. A jury can return with a few possible verdicts. There are two basic choices. Guilty or Not Guilty. When the defendant is charged with more than one crime, the verdict form will give the jury a place to mark guilty or not guilty for each individual crime. A judge or jury will never find an accused INNOCENT of the crime in which they are charged. There is a huge difference between a judge or jury finding that a person is not guilty of the crime they are accused of and declaring that a person is innocent of charges. The prosecutor might not have proven the case beyond a reasonable doubt. The prosecutor may have proven only three of the four elements, beyond a reasonable doubt. The jury could not come to a unanimous decision, so by law they were compelled to return a not guilty verdict. Does this mean that the person is in fact innocent of the crime charged? Last month I read a very good book. I'm not sure I would place it in the legal thriller genre, maybe courtroom drama would be a better fit. I loved the book. The characters were fleshed out, realistic and believable. The plot was moving along at the perfect pace. The author knew how to inject twists and cliffhangers at the appropriate time. Suspenseful? Oh yes. I was on the edge of my my seat. Amazing pace and plot structure, but something happened that made the book fall flat. I won't name the book or author, because of my negative comments, but an otherwise thrilling novel of legal suspense left me disappointed. The author was not an attorney. Don't get me wrong. You damned sure don't need to be an attorney to write fast paced crime fiction. Just ask Michael Connelly Lisa Gardner, Harlan Coben, or my newest favorite author, Chevy Stevens, just a few of the experts who take us on nail biting, pee in your pants, roller coaster rides through crime, social media, captivity, and other psychological mayhem. You do, however, (or you should, let me say,) research the area you are writing about. If you write about guns, you need to know the difference between a revolver and a semi-automatic. I'm not suggesting you become an expert in the field. We don't read fiction for a text book analyses of DNA, ballistics or police/courtroom procedure. But, I am willing to wager that I'm not the only lawyer or non lawyer who's felt a niggle of untruth each time a verdict of innocent/innocence is announced in a crime fiction courtroom. It's happened in other books, I just happen to remember the most recent. This wasn't the author's only courtroom/legal slip up in the book. There were other instances in that particular story that took me out of the mesmerizing fictional world I was in. The author miss-worded legal objections. The final courtroom scene was just too out of character to have occurred in a real courtroom. Procedure was off. In fact, the biggest and most glaring discrepancy was when the author had her antagonist, the prosecuting attorney, call the criminal defendant to the stand as her witness. That ain't ever happening in real life. It violates the law. It violates the 5th amendment and a host of jurisprudence and case law. A person accused of a crime has an absolute right to remain silent. If a criminal defendant is called to the stand, it is by his own attorney. Only the defense attorney and the criminal defendant (it is ultimately the defendant's sole decision,) can choose whether or not the defendant will testify. The prosecution cannot ever compel a criminal defendant to take the stand. I didn't mean to get on a soap box. But, once I began telling you how much the Innocent Verdict Error jarred me out of an otherwise wonderful story, I couldn't stop myself. I feel that strongly about getting the factual details correct. Have you ever read a book that contained incorrect factual or procedural information? Was it so conspicuous that it rattled you? Were you dislodged from the story? Not a lot has happened in the current investigation. Detective Coker learned that the district attorney successfully obtained warrants for all electronic media devices belonging to or in the possession/custody or control of: Mr. Thomas Clinton (victim's husband). Any device that contains information related to and or concerning his legal practice will be submitted to the judge first for an in camera inspection. A warrant was also issued for the tenant, Mr. Michael Prejean's electronic media devices, including, but not limited to cell phones, smart phones, tablets, iPads, IPods, Kindles, Xbox, PlayStation or other gaming devices and all laptop and desktop computers. A third warrant was issued for Mr. Michael Prejean to submit to a blood DNA test. After, Dr. Russo refused to voluntarily submit to a blood DNA test, a warrant was issued for the doctor to submit to a blood DNA test. A warrant was issued giving the police access to all of Mr. Thomas Clinton's financials: Bank statements and records, credit card statements and records and records of any other means of purchasing goods. For a complete an updated review of all evidence, clues, facts, witnesses etc., pertaining to the Crime Fiction Murder Mystery can be found on my Legal Fiction Page. 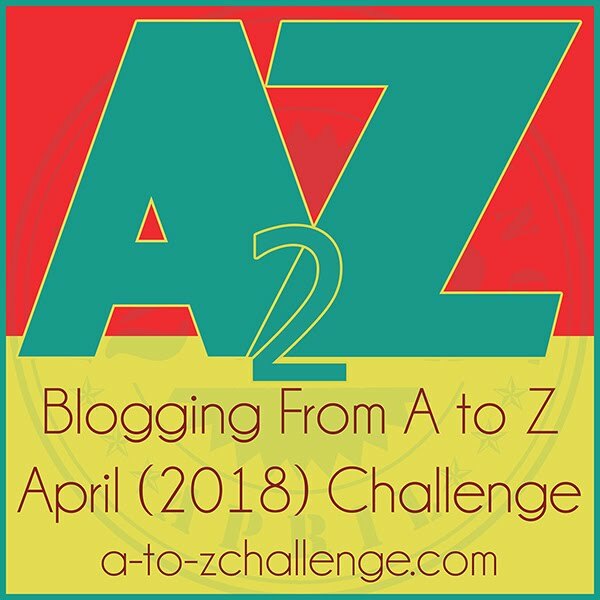 2015 A to Z Blogging Challenge participants can be found here. I was on a jury only once. 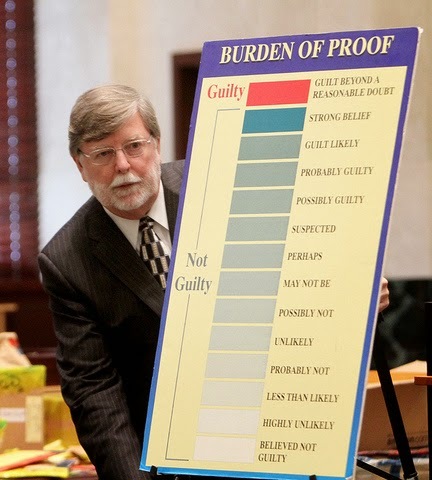 I took notes, listened carefully, and when my fellow jurors deliberated, I was stunned that several jurors voted against what the evidence showed and based their decision on "just knowing the defendant was lying" without any proof given to support that judgement. It made me hope I was never at the mercy of a jury. Bullet proof vests are not force fields, and when they are written as such I shake my head. I know what you mean about books not being factual and how it throws you out of the story. Usually for me it's medical stuff that I notice, and I'm not even medically trained, but have been around enough injuries and such that a lot of these things are obvious. One book I read had someone getting a hairline fracture set, which just doesn't happen. I have a friend who is a law professional and she loves to rant how all the TV shows get it wrong :) I think it happens to all of us who know something about a subject and then see it done incorrectly. I used to work in computers and some of the things they do on TV make me laugh so loudly. Thank you for your explanation of Jury's Verdict. Conversely, I've read articles where these points are put to the author and they've dismissed the criticism because it made the story better. But, if it throws a reader out of the story, how can that be better? I need to make sure I have my facts correct when I write! I agree and I am sure I don't have the knowledge to catch most of them. I certainly don't notice any discrepancies in medical thrillers or spy thrillers, but I have also heard people who get upset when we writers get our gun facts wrong. I brought up this one book, because it did jar me out of the story. Oh I bet it drives you nuts. I am a computer idiot (and a math idiot), so I won't even attempt to try and go into a computer tech savvy issues when I write. Readers would be beside themselves , throwing hands in theair. Screaming. Tossing the book against the wall. See, that's what I mean. If it something like that, that someone like me with zero medical background, education or experience notices, then it is pulling us out of the story. Good example. Thanks for visiting and your interesting comment. I've heard of many people who get irritated about gun mistakes. About the jury, I know what you mean. I would never want to be at the mercy of a jury. Any given group of people will be different than any other combination of 12 and each of the twelve are individuals with different lifetime experiences etc. I've been shocked with some of my verdicts. 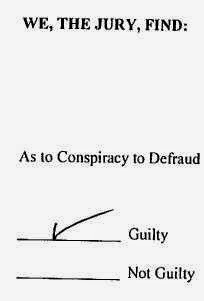 I have had guilty verdicts when I thought there was no way I had won the case and afterward the jurors told us the witnesses lied or the defendant didn't look right or they just knew he was guilty. Ive had cases I thought would be slam dunks and the jury acquitted. You just never know what a jury will do and what that particular jury will find relevant or crucial. Juries are told that they are required to follow the law, but we all know that is not always true either. A jury can acquit for whatever reason they want. It is called jury nullification and it happens all the time. Some juries pay close attention, ask pertinent questions , ask to view the evidence and truly seem to struggle and deliberate while some don't seem to be following along, are in a hurry and never even ask to see the evidence or have what a certain witnesses testified to read back to them. Imagine that in a four month long trial in a state that does not allow the jury to take notes. How can they decide if a person will spend the rest of their life in prison or be executed and not even ask to look at or inspect any of the evidence. It blows my mind. It is so arbitrary that it is frightening. Books, tv shows, films sometimes ... can all catch me short when something is out of kilter ... Miscarriages of justice are definitely unfair (to put it mildly) ..
OMG, I have stopped reading books halfway through because of something so inaccurate that I couldn't continue. (Hey, my free time is limited.) And I have yelled "Where is your fact checker?!" at the TV so many times that my family has banned me from watching certain shows. For example, I live in Jacksonville, Florida. Big city, roughly 3600 square miles, 800,000+ people. Criminal Minds did an episode in Jacksonville and kept talking about "Jacksonville PD." They must have said it 20 times. Here's the thing: There is no police department, only a Sheriff's office (JSO). How hard is that to check? Surely Hollywood knows how to Google! BTW, LOVE Michael Connelly and am working through his Harry Bosch stories. I like Harlan Cobin, but haven't heard of the other too before now. I guess I'll have to head over to Amazon after I'm done catching up with your blog. So, it drives you crazy as well. Criminal minds is a big show . They should have done at least the minimal research. I've screamed at the television a few times myself .